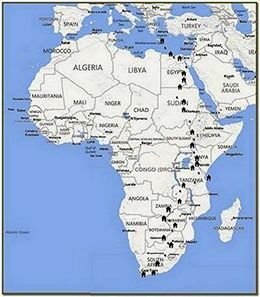 On 12th November 2016, forty men and women representing 18 countries departed from the Island of Crete on an epic journey of 8,000 miles across Africa to Cape Town in fifteen single-engine vintage biplanes of the 1920s and 1930s that were built to go no further than 400 miles. The brainchild of Sam Rutherford a former helicopter pilot in the Army Air Corps, endurance enthusiast and the owner of prepare2go, the Crete to Cape Vintage Air Rally almost exactly recreate the 1931 Imperial Airways Africa Route. 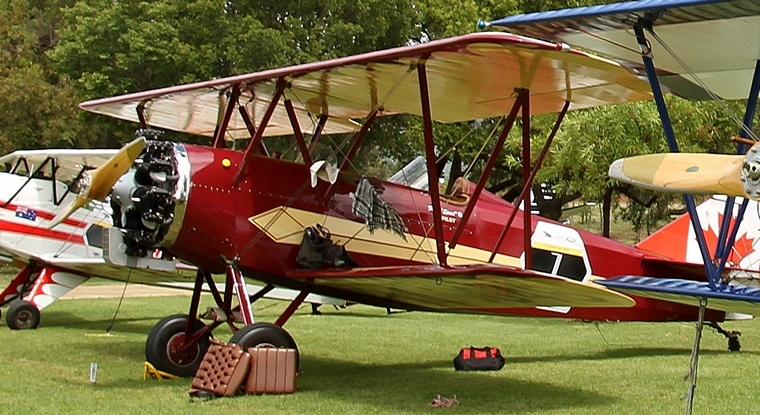 Rutherford was inspired to create the rally when he learned that no similar event had been attempted by this number of vintage biplanes to travel this distance across Africa. Prepare2go used the rally as a platform to raise money for UNICEF and endangered vultures. The rally will also raise public awareness and resources for conservation of vultures. Each team will also drop "seed-bombs" along the route from the air to support reforestation of arid land. Adding to the adventure was the range of accommodation arranged for the crews. Sleeping bags were a essential part of the luggage as crews sometimes slept beneath the wings of their aircraft. Other accommodation ranged from 5 Star hotels to tented camps. Leaving Crete, fast aircraft first, the crews flew in a very loose formation the 400 km stretch over the Mediterranean. Initially they were met with a headwind with some the crews doubting whether they would in actual fact make the mainland. In the end they all did and received a warm welcome although clearing custom, as it always is, was a rather tedious affair. 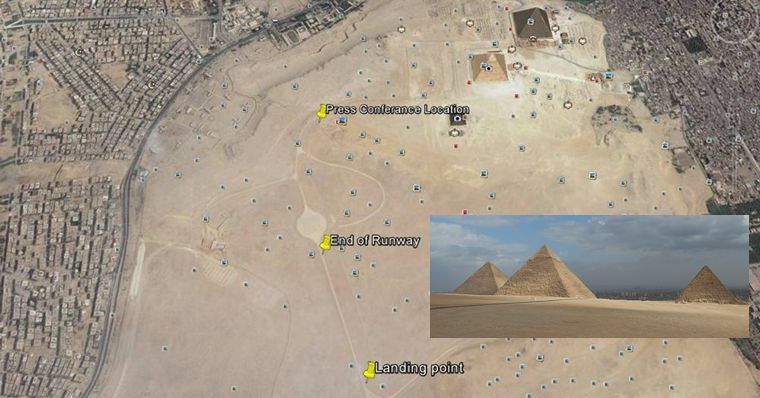 Then, like the pioneers that opened the route they too flew VFR (Visual Flight Rules) low along the Nile from Cairo where permission was granted for one aircraft to land at the foot of the pyramids. Lots were drawn and the lucky crew were the Stampe from Belgium. From Cairo they flew to Luxor, via Hurghada, located on the shores of the Red Sea and further south to the Aswan Dam. The last stop in Egypt was Abu Simbel where they marvelled at the four seated colossi flanking the entrance of the temple complex. The next stop was at M�row�, in the Sudan and most of the crews were on edge entering this war ravaged country. Low flying over the vast stretches of Sudanese desert was the order of the day. Their concern were soon put at ease, the Sudanese were friendly and welcoming. At Karima they visited the Nubian Pyramids. Landing at Dongola on the banks of the Nile the crews cleared custom and refuelled. The reception at Dongola was friendly and the officialdom helpful. They arrived at M�row� as the sun was setting over the sand dunes and overnight in a guest house. Always routing roughly south the landscape slowly started to change, baobabs and other trees now dotting the dunes that previously were devoid of any vegetation. After the endless desert the sprawling expanse of Khartoum almost came as shock. The runway shimmered in the heat, the ATC gave them a track to fly, nothing else. 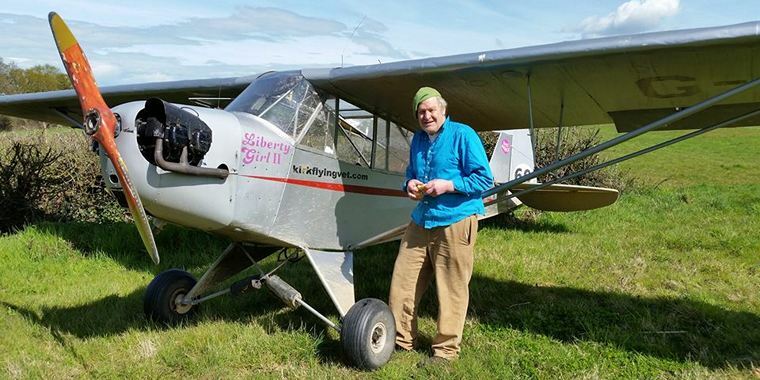 Next stop Khartoum where 71-year-old Maurice Kirk in his 1943 Piper Cub ,Liberty Girl II, disappeared near the border of Sudan and Ethiopia prompting a search-and-rescue operation. Kirk had not set off with the main party, but had joined en-route. Fortunately Kirk was found by locals who called a British person they knew in Juba who contacted the embassy. Unfortunately he was not able to continue. The next leg at 470 N/miles was a long one. They refuelled at Damazin before setting out for the overnight stop at Gambela where accommodation was booked. The desert fades behind them, below them cultivated land stretched for miles, the sceneray changing to dense forests and high ground as they approach Gambela. So far nothing seriously has gone wrong. Then came the news on the radio; permission to enter Ethiopia has been denied and they were advised to turn back. However, they were past the point of return; return was no option and on landing at Gambela on 22 November they were detained at the airport and forced to sleep on the benches or floors. All their electronic equipment was confiscated and during day time, when a scheduled flight was due to arrive the crews were hustled upstairs into a small area where they had to stay out of sight until nightfall. What frightened them most was that they were accused of espionage and individually interrogated. Diplomatic intervention by the UK, Ireland and the US led to their release on 24 November and the journey could continue. 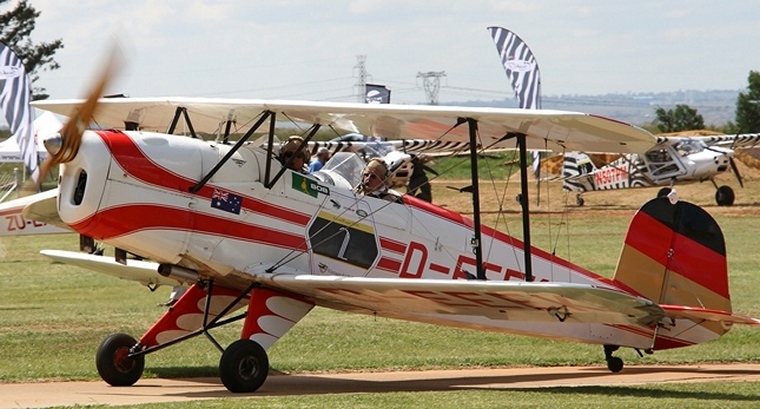 Nick and Lita Oppegard who finished fifth overall landing at Syferfontein in their Travel Air 4000. The Puma Energy 'Spirit of the Rally' trophy was awarded to Nick and Lita Oppegard of Team Alaska. En-route to Kenya they encountered some thunderstorms but their spirits were lifted when they realised that they have reached a milestone; they were now flying in the southern hemisphere. First stop was in Lokichogio where a crosswind made for interesting landings. Like so many times before they are warmly welcomed by the locals. Approaching Eldoret the clouds were building and the heat shimmered in the air. At 7,000 feet Eldoret is high and density allitude a factor but fortunately Eldoret has a 3,000 meter long concrete runway. On the ground a storm hit the field and then they got the news that John Ordway and his daughter Isabella, who were representing Ireland, had crash-landed in a farm in central Kenya after their 1941 Boeing Stearman developed a mechanical problem. Fortunately John and Isabella walked away from the crash. It was not really ideal flying conditions when the participants and support crews took off for Nairobi the bustling aviation hub of East Africa. Take-off from Nairobi, scheduled for early morning, was delayed with the first crews eventually only departing at midday which made for some nail biting moments as the almost 100 year old grand old lady's battled to gain height. However, the balance of the aircraft made it safely to Tanzania. Off they went, flying past Kilimanjaro to Tanzania and the Serengeti. Flying low the crews looked at the constant movement of animals. Not all the crews opted to overfly Ngoro Crater which at 7,800 feet and with density altitude might have presented a problem. Finally arriving in Arusha they had a well-deserved rest day. Since Avgas is not available the in most African states, Puma Energy had to position drums and the various landing strips and fuelling the aircraft was a tedious process, lasting as long as four hours to fuel the fleet. The other two Gold Sponsors were Rainbow Skyreach who supplied two Bushcat aircraft as support and Landrover who had vehicles available at certain landing points. For the first time since they have left Crete and for the next 220 N/miles there was again open ocean under their wing as the crews made their way to the Zanzibar, the Spice Islands. After landing and custom clearance it was off to their Five Star accommodation where they could relax whilst the aircraft underwent some badly needed maintenance. Then it was further south to Zambia and Lusaka where they landed, after a fuel stop at Kasama and a flight of 460 N/miles. For most of the crews one of the highlights of the rally was a low flight over the 190,000 square kilometres Bangweulu Marsh. On Sunday 4 December they reach Lusaka after a brief sojourn with a farming community in the Kawa district. At Lusaka the intrepid aviators were the guests of honour at a wings and wheels show. Before departing for Zimbabwe they stopped at Mfuwe where again they were overwhelmed by typical African hospitality. Flying low over the shores of Kariba, they looked down as herds of buffalo and other wildlife scurried out of the water as the aircraft approached. Climbing to avoid the turbulence over the gorges they flew over the town of Victoria Falls to give the entire population a glimpse of the magnificent machines before landing in a strong crosswind at Kariba. The crowds were able to mingle with the aviators and see the vintage planes up-close when they get on the ground. A flight over the Victoria Falls for any one visiting Kariba is an absolute must and the participants did just that. At Kazungula , a small dirt strip, they are again welcomed by the locals and some aviation enthusiast who have arranged an impromptu aviation show. That evening the crews attended a gala dinner organised in their honour. Initially Botswana was not on the route but that changed when President Ian Khama, a pilot himself, contacted the organisers and invited them to visit. They could not refuse and was entertained by the president at a cocktail party. Some crews detoured from the route to overfly the Okavango swamps. At Maun Airport nature struck during an overnight thunderstorm. 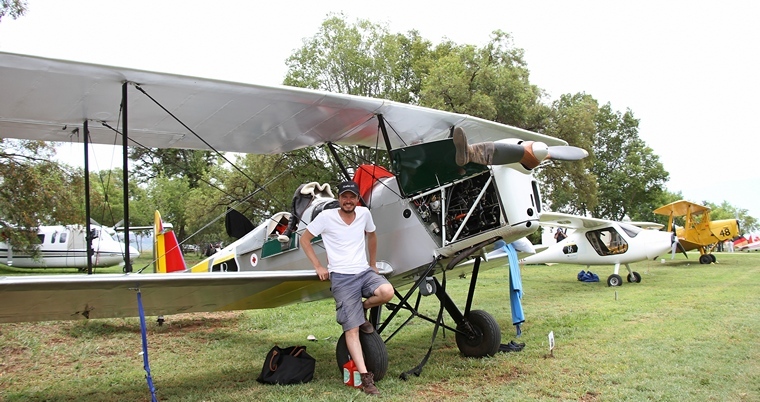 The Botswanan Tiger Moth that was part of the rally was ripped from its tie downs and flung into one the rally's support helicopters both suffering rather servere damage. 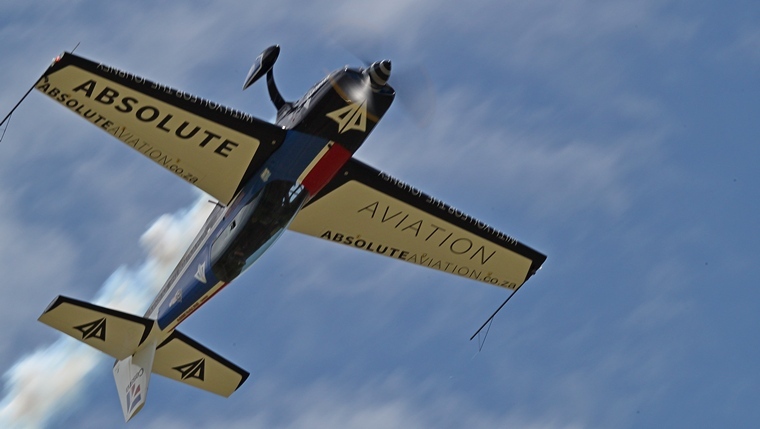 South African, Courtney Watson's Tiger also developed mechanical problems and could not complete the flight. Now twenty one days into the epic journey and having overflown almost the full length of the African continent the crews were amazed by the number of animals that they saw roaming the Botswanan Bushveld; proof that the southern African country was serious in conserving its wildlife. Before departing for South Africa they overnight at Mashatu Lodge in the Tuli block where they went game viewing and had a change to view the wildlife from up close. Leaving Botswana on 12 December crews landed at Lanseria for customs and immigration before departing for the Johannesburg Light Plane Club based at Baragwaneth Airfield where a large number of local vintage aircraft were waiting to welcome the intrepid adventurers. A number of the participants were unfortunately delayed at Lanseria because of paperwork problems and opted not to fly to Baragwaneth and instead departed for the next stop at Blue Mountain Valley Airfield. Puma Energy, one of three Gold Sponsors, supplied the fuel for the rally and treated the participants and guest to a light lunch and refreshments at Baragwaneth. During a media briefing held by Head of Corporate Affairs of Puma Energy, Zohra Mc Dooley Aimone introduced the other sponsor and key role players. From Baragwaneth it was a short hop to Blue Mountain Valley Airfield where the crews were to spend two nights being lavishly entertained by their host John Sayers and treated to displays by the Academy Brushware Flying Lions and Jason Beamish. Skydiving legend Graham Field added to his considerable tally of aircraft by jumping first from a Waco piloted by Nico van Staden and later from a Travel Air. A large number of invited guests in various vintage and modern aircraft also arrived to meet and interact with the intrepid adventurers. Aircraft started departing from Blue Valley Mountain Airfield on the 14 December for their overnight stop at Gariep with two interim stops, one at Parys for fuel and breakfast and the other at New Tempe, Bloemfontein for fuel. Teams that left early had mostly clear weather all the way to Gariep. Those that left later were not so lucky. It rained for a while at Parys but cleared tough once airborne the cumulus were building and those that left Blue Mountain late had to dodge some showers on the way to Tempe. Landing at Tempe they barely had time to refuel before the rain came bucketing down and they were forced to wait out the storm in the clubhouse. All eventually made it safely to Gariep. Leaving Gariep ahead laid a leg of 240 N/miles over high and usually turbulent ground and mountains to Plettenberg Bay for a rather windy landing. Plettenberg was the second but last stop before the end of the epic adventure with the arrival at Stellenbosch where again they were met by a large number of visitors and vintage aircraft. As a fitting finale a lavish prize giving gala dinner was held in the historical Cape Castle. 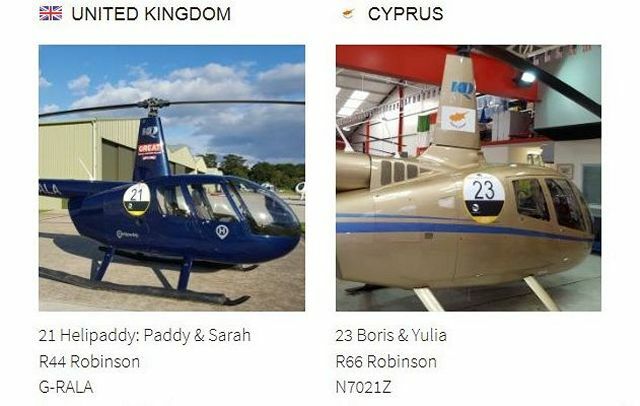 On their journey south the flying teams have been competing against each other and leader boards, comparable to those used in the classic car rallies, were used to determine the winner of this epic classic rally and Peter Langton's name was announced to loud applause. The 1920's era aircraft made an arduous journey and their pilots experienced unique flying and navigation challenges in their open cockpits that exposed them to the elements for long distances. Flying the bi-planes tested not only the pilots' skills and aircraft to the limit but also was a supreme test in fuel management as some of the legs were at their maximum range. Besides being a competition of flying skill, the recreation of the past, an adventure that will be remembered and a fund raising exercise for conservation the Vintage Air Rally also exposed aviation to the thousands that had flocked to airstrips where ever they landed. The aircraft, the grand old ladies that with few exceptions behaved so well will, with a few exceptions, now be crated and returned to their home countries. The first edition and hopefully not the last of the Vintage Air Rally, an epic race, the first of its kind over the distance and an event that can become the "Paris to Dakar" of aviation is over. Considering the logistics and cost involved it may not be possible to stage it annually but if the organisers start now surely a second edition in 2018 will be possible? Many thanks to Karl Jensen for flying the camera ship and to Nico van Staden for organising the shoot as well as Wayne Lowe, Senior Director, Strategic Communications EMEA, FTI Consulting and Caroline Parker Managing Director, Strategic Communications, FTI Consulting for supplying information and images used in the compilation of this report and all the participants that were more than willing to share their experiences.